Grew up… when he was a Marine. Korea is where Artie learned everything he ever needed to know about the way the world works: in order to survive, you have to be tough and loyal. Living… for his job, in Los Angeles. Artie has several families (he’s on his fourth marriage), but nothing seems to be as important to him as keeping his show on the air and keeping the host, Larry, happy. Profession… producer of The Larry Sanders Show. Artie has to deal with all kinds of conflicts on a daily basis. He’s got the network, Larry and the show’s guests on his back everyday, not to mention his latest wife. No worries, though, because Artie “speaks fluent B.S.,” which makes his daily life infinitely easier. 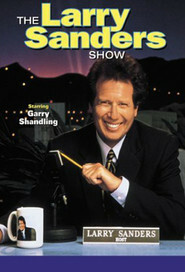 Challenge… keeping The Larry Sanders Show ahead of the competition. Artie will do anything or manipulate anyone in order to keep the show running smoothly. Show business couldn’t function without people like Artie working magic behind the scenes. Personality… funny, tough, and dedicated to his job. As Artie says, “I’ve got a face that would crack a mirror, that’s why I’m a producer.” He’s also a producer because his talents lie in the dark arts of manipulation, coercion and intimidation. Consider him a Hollywood gangster. Artie's popularity ranking on CharacTour is #5087 out of 5,000+ characters. See our top-ranked characters and read their profiles.